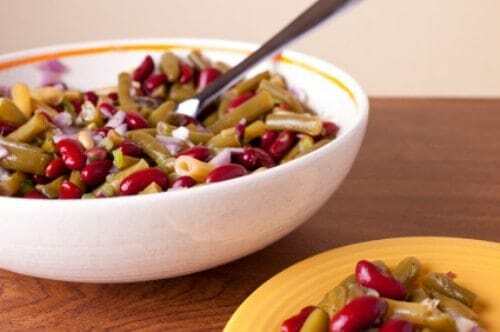 You can make tasty three bean salad anytime. This is perfect to make ahead and serve later. This recipe is by Judy McDowell. Jefferson City, Mo. 1967. You can make three bean salad quick and easy. Mix beans together and set aside. Prepare the dressing and pour over beans and chill over night. This was really good, I cut back on the sugar but it turned out really well!